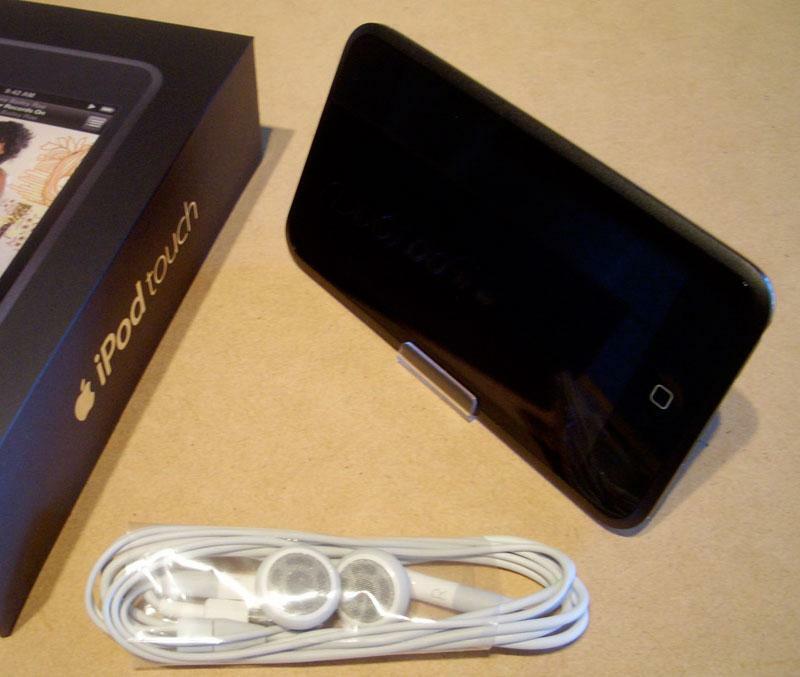 The iPod Touch just went on sale, so we made our way down to get one before the Apple Stores even admitted they had them in stock. Hidden away in cabinets behind the register, they were only being sold to those who asked for them by name. 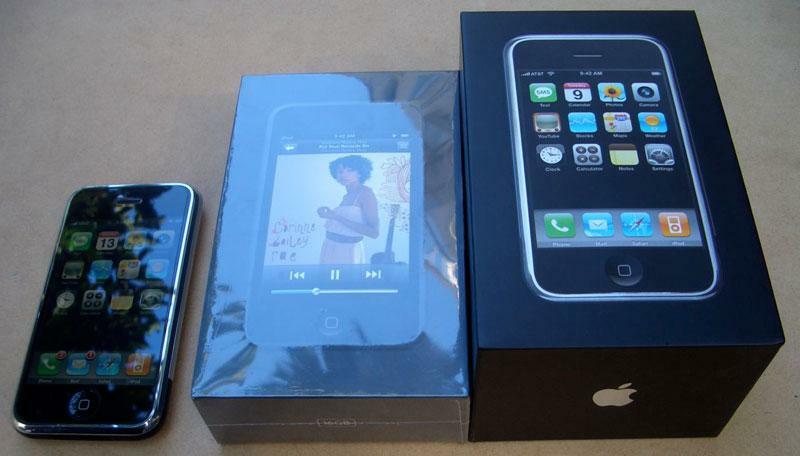 We raced home with a 16GB model and took some quality unboxing and iPhone comparison photos. 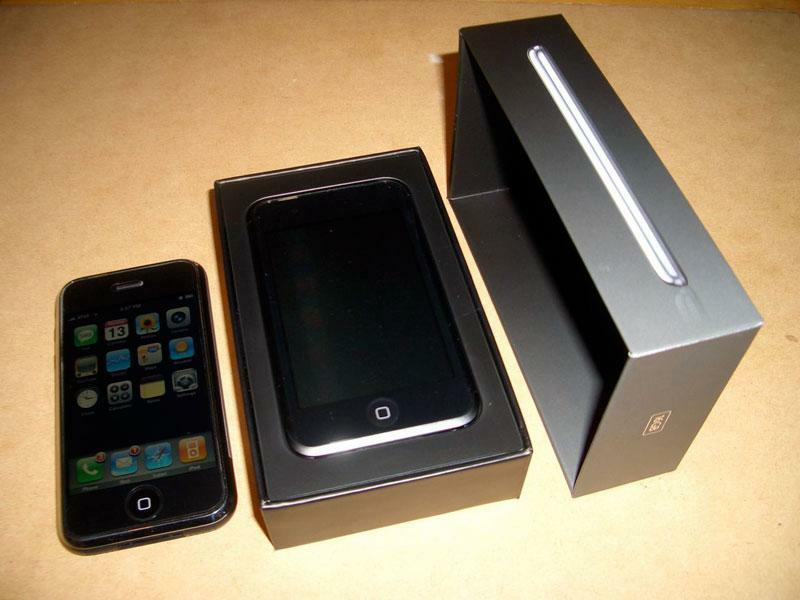 The Touch comes in a box similar to the iPhone, but only about half as deep. On the cover is Corinne Bailey Rae, a fresh-face artist that might remind you of Norah Jones, Macy Gray, and a bit of Billie Holiday. 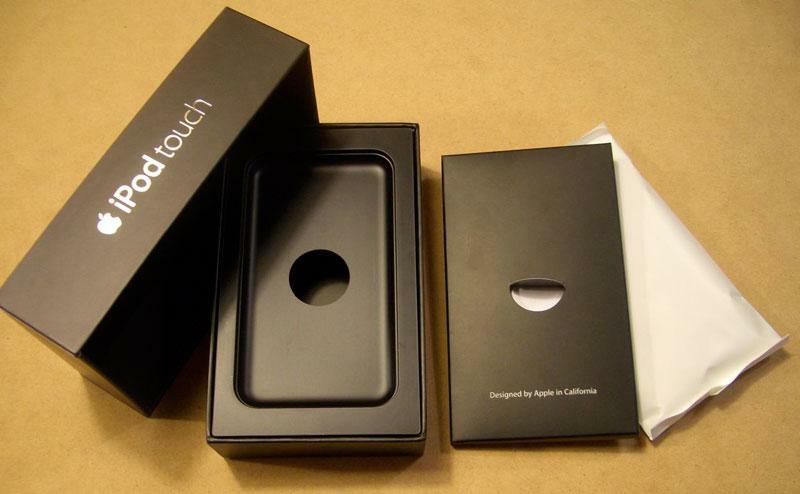 Inside the box, the Touch lays in a black tray otherwise identical to the clear version of the iPhone's packaging. 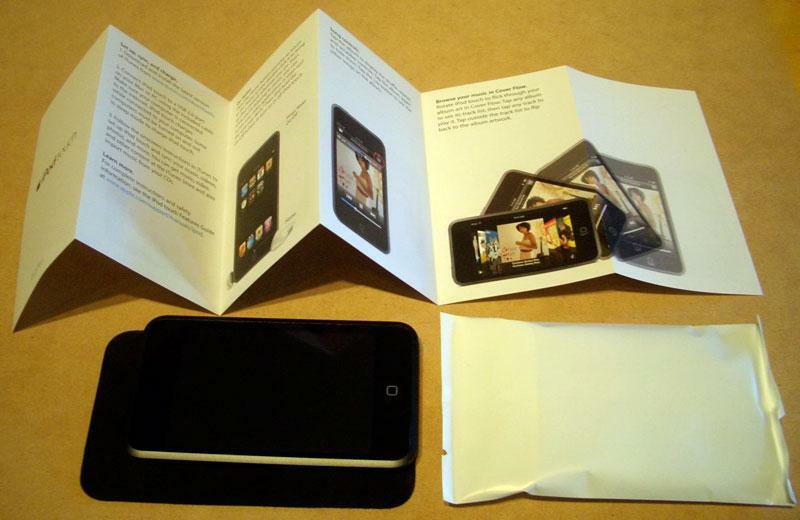 Everything else hides within a black envelope and a white package. 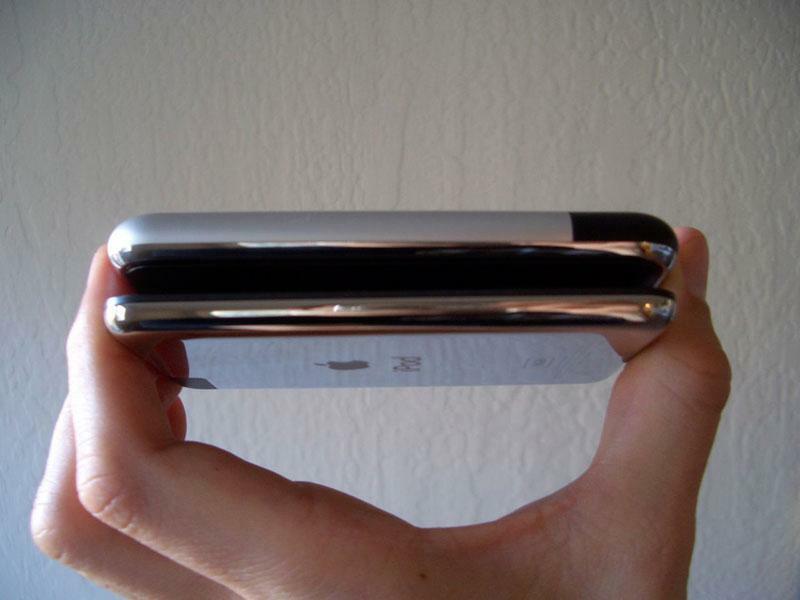 The Touch itself is a few millimeters thinner than the iPhone; 8 mm versus 11.6 mm, but it appears to be about half as thick and feels considerably thinner in the hand. 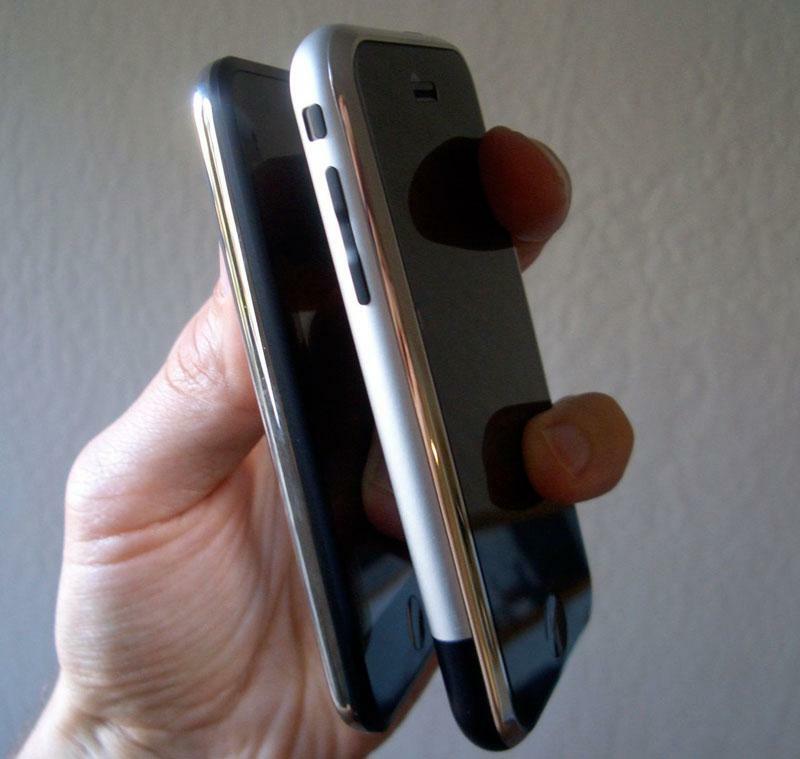 When flipped over, the Touch exposes that it's not just an iPhone without a cellular antenna; its an iPod. Rather than a buff aluminum finish with a polished Apple logo, the Touch has the iconic polished aluminum back with a textured logo. 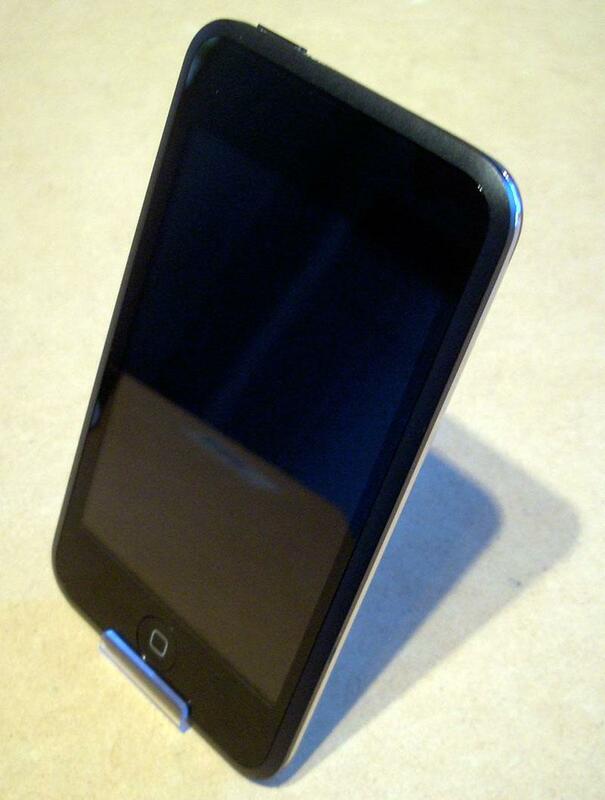 The top corner features a black plastic window for the WiFi antenna in place of the iPhone's camera, and it has a wake button just like the iPhone, although its on the opposite end of the top edge. Like the Nano, it has a headphone jack at the bottom of the unit next to the Dock connector. There are no speakers like the iPhone. 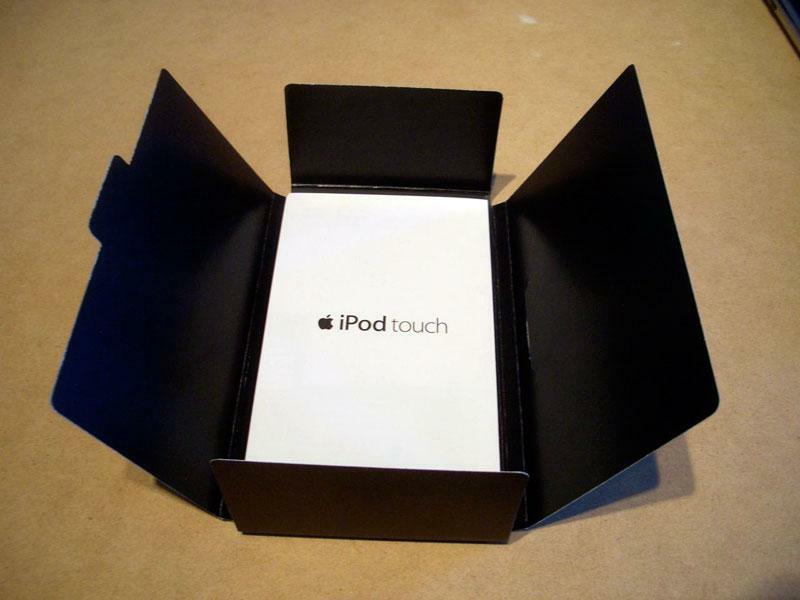 That means the Touch is destined to end up looking like previous iPods. 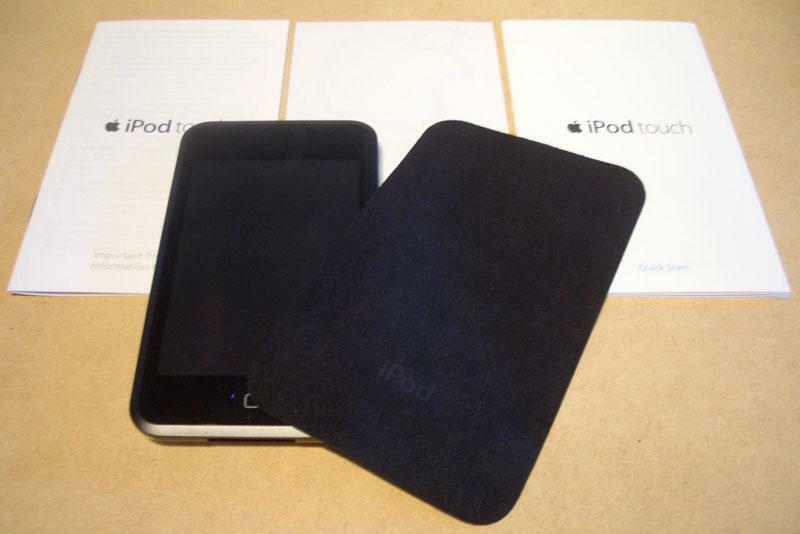 My 30GB 3G iPod delivered just under twice the storage in a much larger package with all the fancy screen and touch features. (Don't laugh now Touch, because in two years you'll look just as scoured up.) 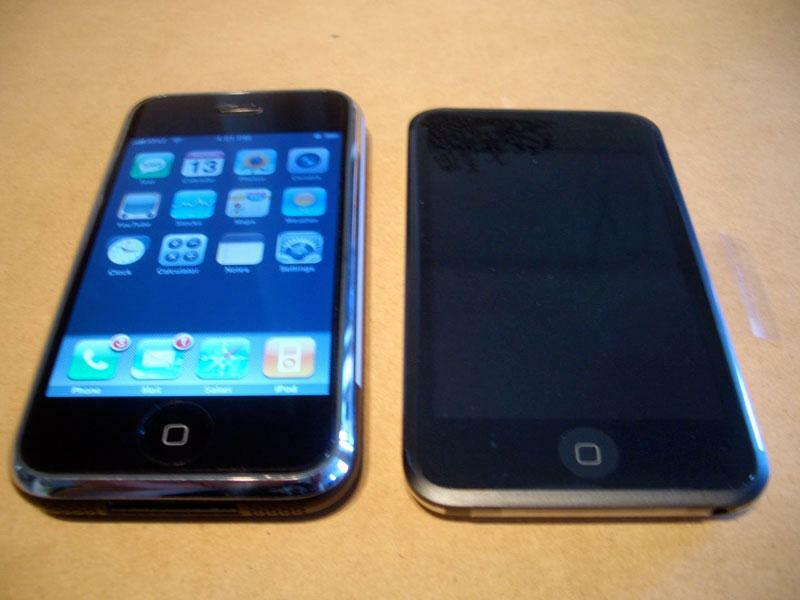 Fortunately, at least the screen side will still look nice, thanks to the same glass face as the iPhone. 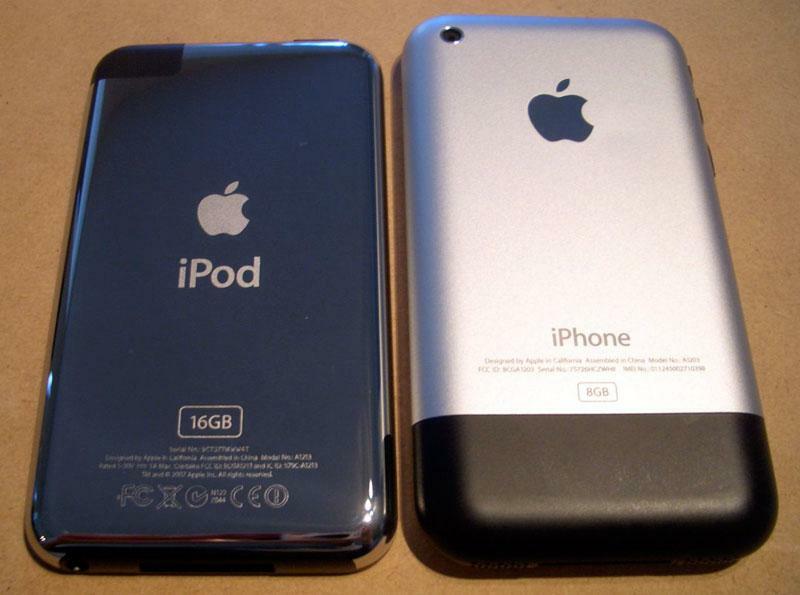 The Touch is far thinner than the old iPod due to its use of Flash RAM. 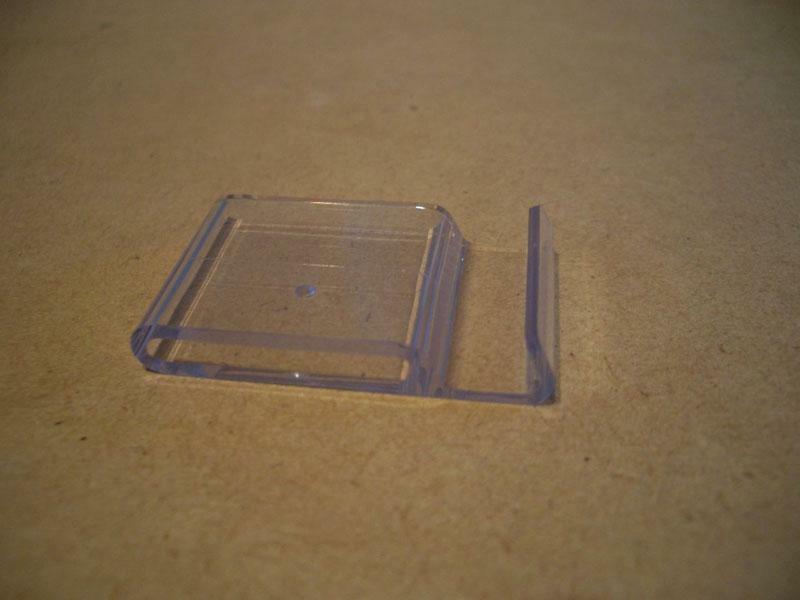 It's still considerably thinner than the iPhone. 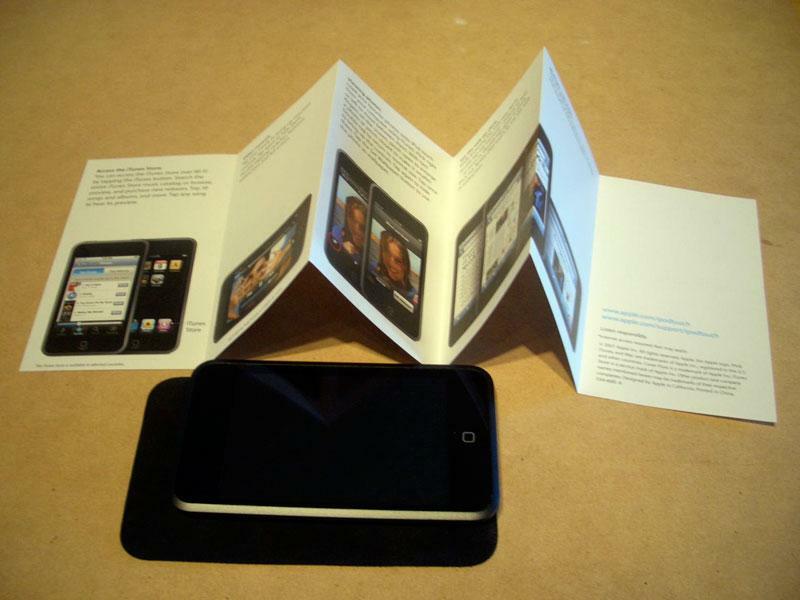 Inside the black box is a couple Apple stickers, a photo pamphlet demonstrating its features, another booklet of legalese, and a screen sized polishing cloth embossed with "iPod." 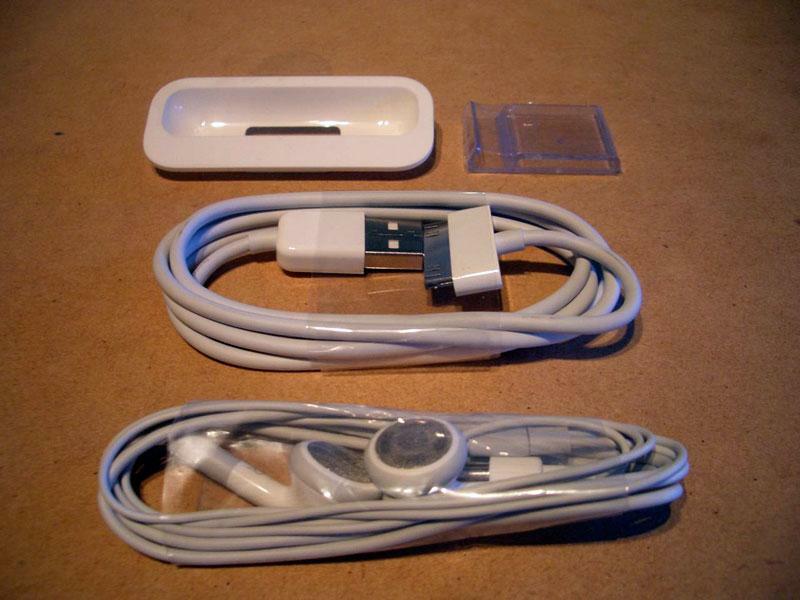 Rip open the white package and out jumps a USB cable, standard set of iPod headphones, a form fitting Dock adapter, and a mysterious clear bit of plastic. Of course, when placed in the stand vertically, its no good as a music player, because it blocks the headphone port, and the unit has no speakers. I suppose one could use it as a picture frame. 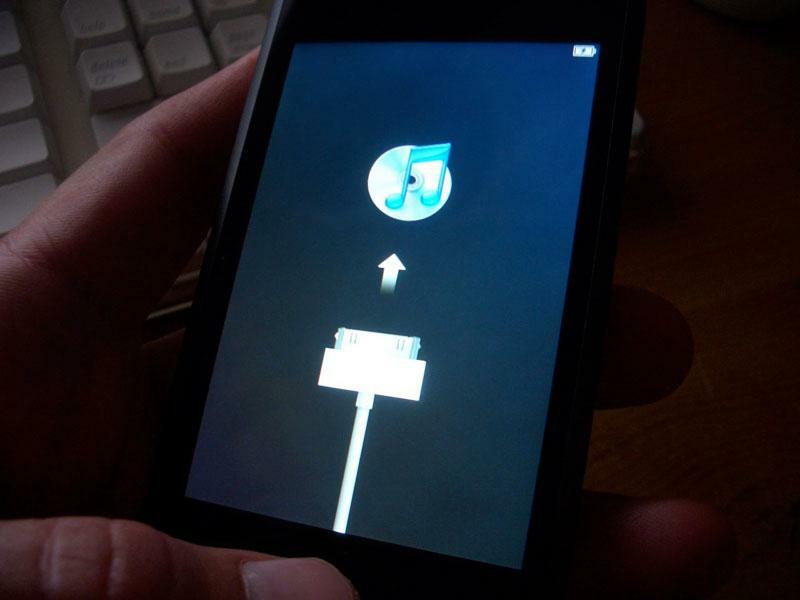 It also works horizontally, making it functional as a Coverflow-oriented jukebox or as a movie player, so you can watch video without holding it. Mine shipped out of the box with no charge at all, but as soon as I plugged it in, it told me to go to iTunes. I didn't immediately realize that I'd plugged in a FireWire cable. As with all iPods, the Touch needs a USB cable to sync, but will still charge over an old FireWire one. Once plugged in correctly, iTunes asked me to register, but allowed me to skip that step and go to the typical setup page. 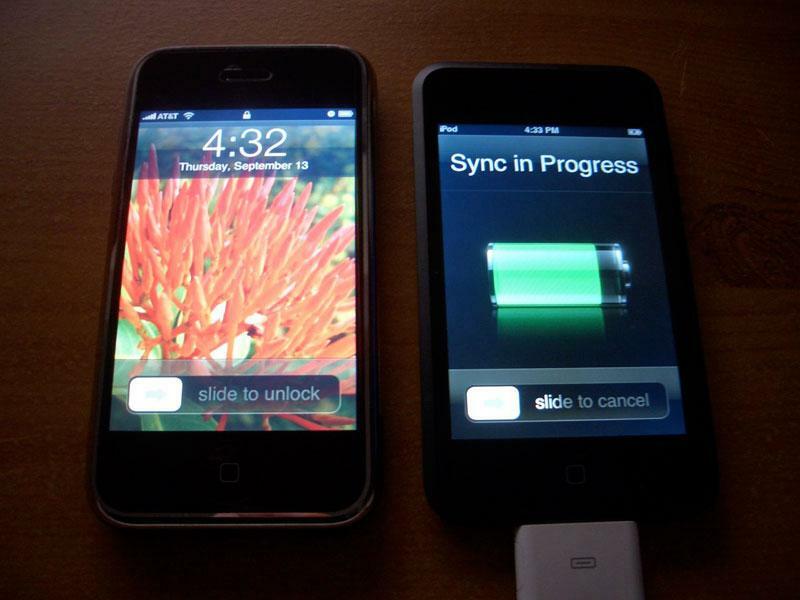 While syncing and charging, the Touch displays the same graphics as the iPhone. 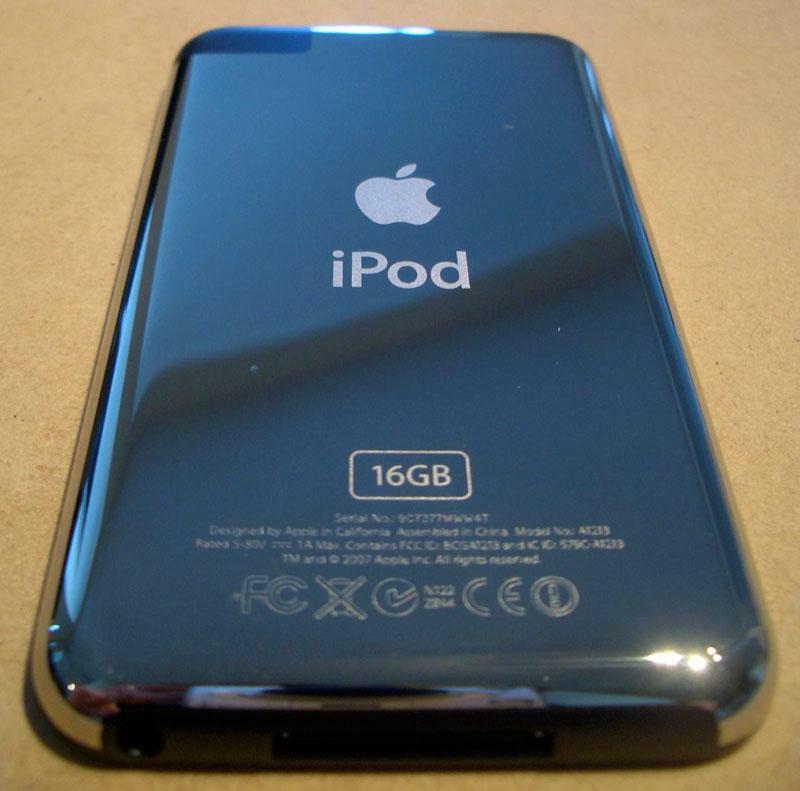 Its face looks subtly different than the iPhone due to different styling features. 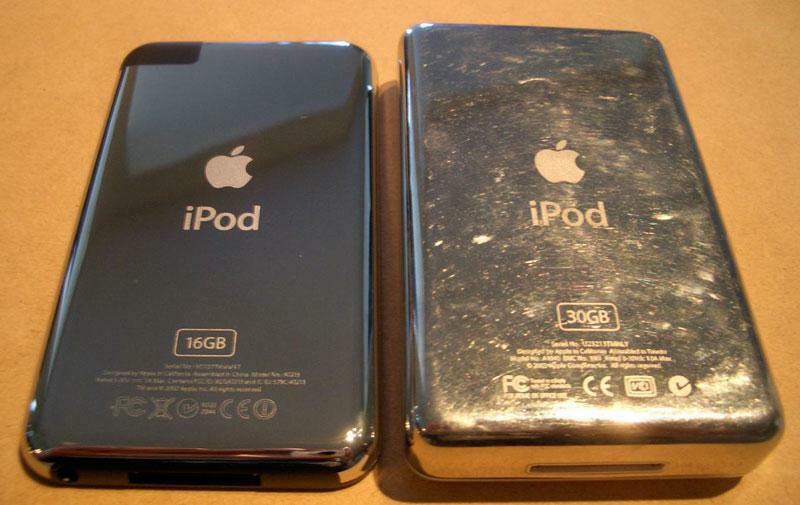 Rather than a shiny chrome frame, the Touch features a black anodized metal plate frame surrounding the screen, similar to the modern generation of "all metal" iPods. 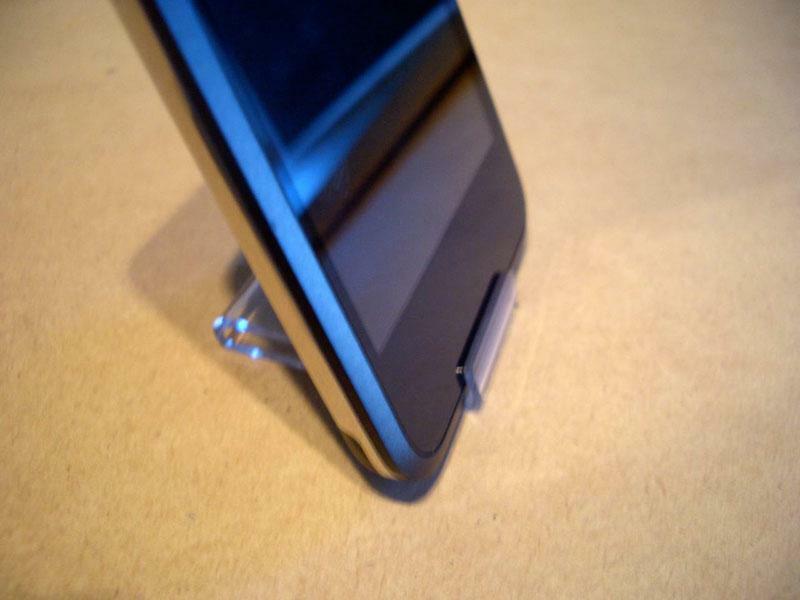 There's no iPhone-style headset ear speaker, and the home button is slightly smaller. 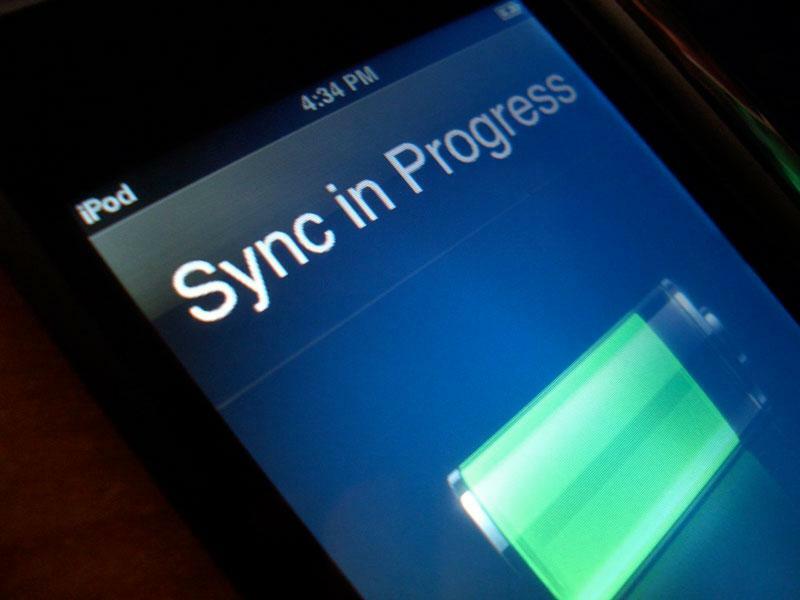 The Touch also does not support the iPhone's 'tap to skip' mic-integrated headphones. They still work for audio output of course, but the Touch lacks a fourth conductor on the headphone jack, so there's no way to use the iPhone's mic, a second strike for the potential of VoIP after its lack of Bluetooth. The Touch's menus are slightly different different too, with a new mix of applications on the home screen. No Stocks, Maps, Notes, or Weather, but there is a Contacts icon (the iPhone's contacts are hidden away on the Phone page). Safari appears in the home page icons rather than in the dock like the iPhone, and there's no Mail application at all. The Calculator is there unchanged except--oddly enough--for its icon, which is now black with a light grey frame. There's also no Camera (and no camera), or a Photos icon among the home page buttons. Photos are still there, just placed in the dock-like tray at the bottom. The Touch also sports new icons for Music and Videos in the dock instead of hiding both behind "iPod" as the iPhone does. There is also the new WiFi Store icon labeled simply "iTunes." 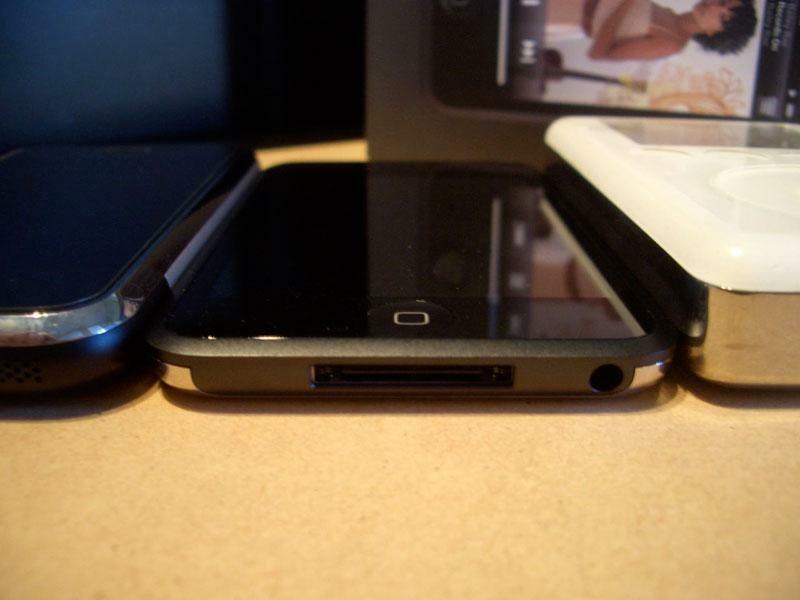 The Dock itself is different than the iPhone, too. While the iPhone has four icons sitting in a solid, light-grey band of a dock that fully surrounds the icons, the new Touch has a more subtle, Leopard-like dock that appears to be a lighly frosted sheet of glass indirectly illuminated and tilted at an angle. The dock icons cast a reflection onto it.